Last night at around 10:00pm, after a fun night with some ladies from Bible study, I was walking up to the house and took a spill on our sidewalk. Honestly, I'm not sure whether I tripped, lost my sense of balance, or just got dizzy. All I know is that one moment I was on my feet and the next moment I slamming my nose into the ground, skidding my palms against the concrete, and doing a belly flop. I got up, a bit out of sorts, and knew that my nose my bleeding. Josh came to the door when I walked in and I told him to get a paper towel. I think he was quite surprised to see his wife stumble into the room with a bloody nose! He helped me clean up my nose and got me some ice to help with the swelling. Right after falling, I felt my belly cramp up a little and my first thought was for the baby. I didn't feel any pain in my belly so that was good, but I still wasn't feeling him move--even with a little prodding (which usually gets him to move a bit). Honestly, I could care less about myself. All I could think about what whether the baby was okay. I feel like I experienced one of my first moments of motherhood: I cared more about him than myself. 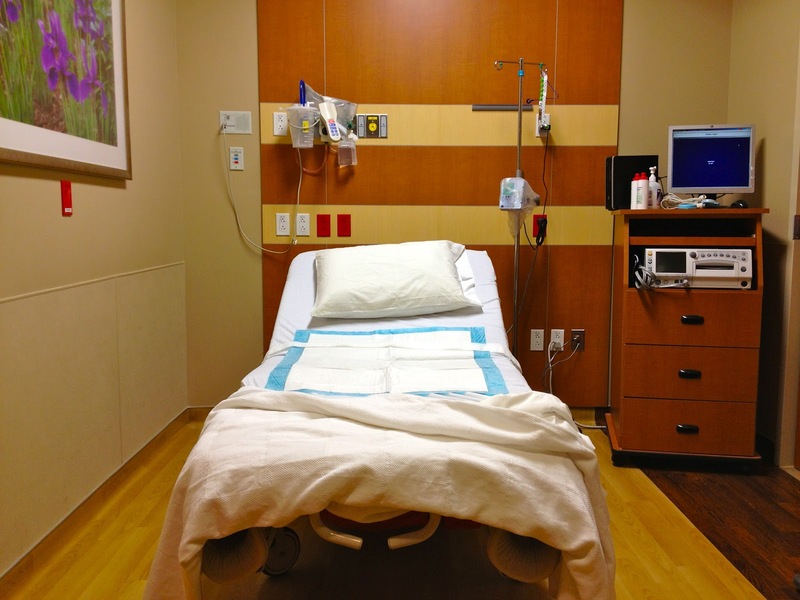 We headed to the hospital and landed in the triage room in the L&D ward. I definitely wasn't expecting this to be my first experience in the L&D ward! The nurse quickly hooked me all up and found his little heartbeat. One of the most beautiful sounds ever. They also took my blood pressure and hooked me up to see if I was having any contractions. To my surprise, I was having some semi-regular contractions which I could hardly feel. I felt a little bit of tightness but no pain. 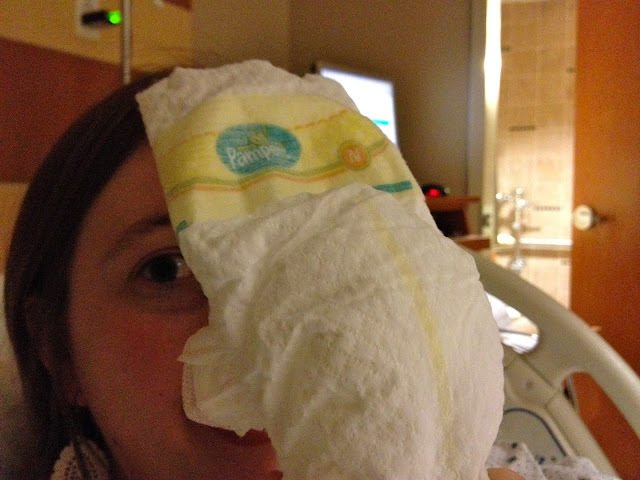 So, I had to stay until the contractions went away. I also had to got checked to make sure I wasn't dilating or going into pre-term labor. Thankfully, everything was nice and closed up! Then, we waited around. I got an "ice pack" and Josh tried to sleep a bit (since it was after midnight). 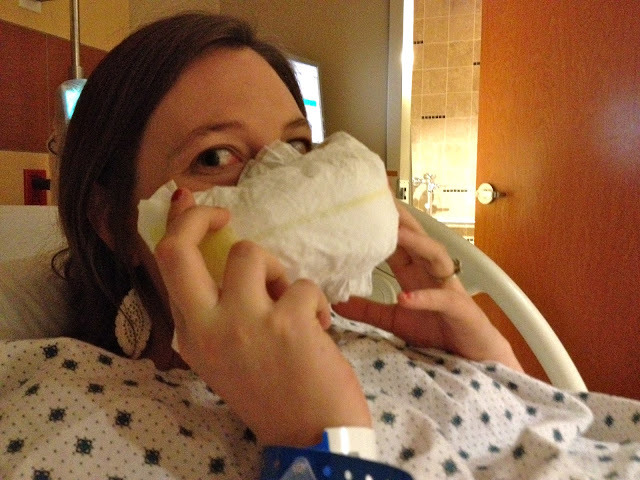 Eventually, my contractions tapered off, and we headed home at around 1:15am. I was told to take it easy and rest today. Honestly, I'm so thankful for this shiner--for the reminder that even in unexpected life events, God is present. Even if it had been worse, I am not alone. Not now, not ever. And that truth makes my swollen nose and purple eye ever so beautiful. I am so thankful for your good outcome! The baby is fine and your nose will hopefully heal quickly. Thanks for sharing about your amazing husband and your thoughts reminding us of God's presence. What a way to encourage us! oh my word - i am so glad you're okay! how scary. and how sweet of your husband to care for you so well through this. nicole, you are already an amazing momma!!! How scary! Glad you and baby are OK.